Connected Biology – Linking genetics and evolution to increase sophistication of student understanding over time. 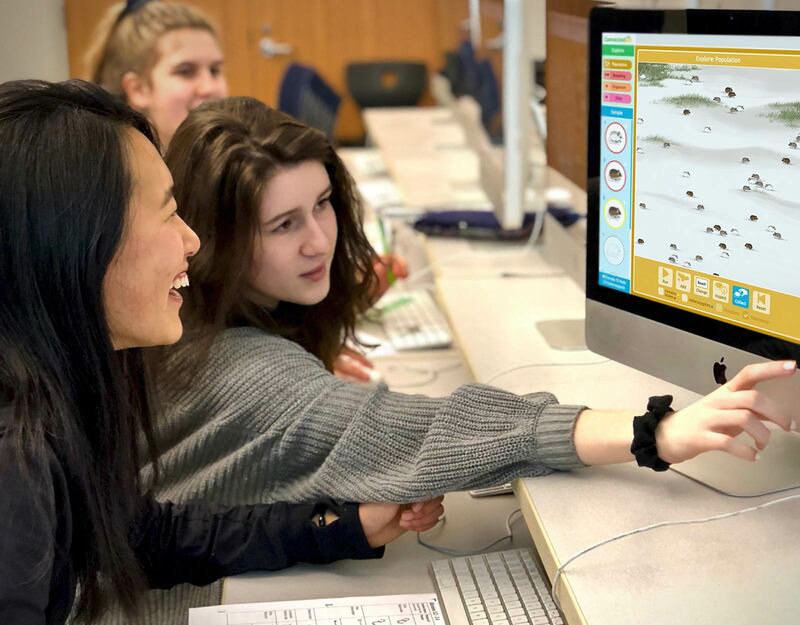 The Connected Biology project, a collaborative effort between Michigan State University and the Concord Consortium, is developing a connected set of technology-enhanced three-dimensional lessons for high school biology. This novel curriculum is aligned with research-based NGSS performance expectations and fosters integrated learning of high school genetics and evolution. We hypothesize that thoughtfully integrating the practices of science with a limited number of disciplinary core ideas and crosscutting concepts will support students’ development of a network of connected biological concepts that they can use to make sense of phenomena and increase the sophistication of their understanding. This approach stands in contrast to many strategies in biology education which often treat topics as disconnected, resulting in learning isolated facts over deep connections. We are creating and researching an example of instructional materials for high school biology designed to foster students’ ability to construct scientific explanations of the relationships between molecules, cells, organisms, and populations, and to support them in analyzing and interpreting data to explain a variety of phenomena and their underlying causes. We are designing a sequence of multi-level simulations to support students in making connections across genetic and evolutionary phenomena. The content for all curriculum development is based on the Evo-Ed cases, enhanced by the technological frameworks of the Concord Consortium. Want to be notified when Connected Biology becomes freely available? Contact us! Connected Biology is a joint project of the Concord Consortium and Michigan State University. This material is based upon work supported by the National Science Foundation under Grant Nos. DRL-1620910 and DRL-1620746. Any opinions, findings, and conclusions or recommendations expressed in this material are those of the author(s) and do not necessarily reflect the views of the National Science Foundation.